There’s nothing wrong with thinking big regarding your retirement. For some, that means picking up stakes and moving overseas. What would be wrong is not reviewing your estate plan before making the move. If you dream of spending your golden years in a tropical paradise, a culture-rich European city or another foreign locale, it’s important to understand the potential tax and estate planning implications. If you don’t, you could be hit with some unpleasant surprises. If you’re a citizen of the United States, U.S. taxes will apply even after you move to another country. So if your estate is large, you might be subject to gift and estate taxes in your new country and in the United States (possibly including state taxes if you maintain a residence in a U.S. state). You also could be subject to estate taxes abroad even if your estate isn’t large enough to be subject to U.S. estate taxes. In some cases, you can claim a credit against U.S. taxes for taxes you pay to another country, but these credits aren’t always available. If you wish to purchase a home in a foreign country, you may discover that your ability to acquire property is restricted. Some countries, for example, prohibit foreigners from owning real estate that’s within a certain distance from the coast or even throughout the country. It may be possible to bypass these restrictions by using a corporation or trust to hold property, but this can create burdensome tax issues for U.S. citizens. Finally, if you own real estate or other property in a foreign country, you may run up against unusual inheritance rules. In some countries, for example, your children have priority over your spouse, regardless of the terms of your will. 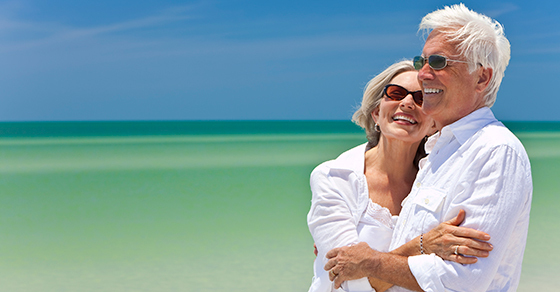 If you’re considering a move overseas after you retire, discuss your plans with us before making a move. We can review your estate plan and make recommendations to help avoid tax pitfalls after you relocate.